Dark green leafy vegetables are good sources of many vitamins and minerals your body needs to stay healthy, like vitamin A, vitamin C, and calcium. They are also great sources of fiber. The darker the leaves, the more nutrients the vegetable usually has. Arugula has a peppery taste and is rich in vitamins A, C, and calcium. Arugula can be eaten raw in salads or added to stir-fry, soups, and pasta sauces. Chicory has a slightly bitter flavor and is rich in vitamins K, C, and calcium. Chicory is best eaten with other greens in salad or when added to soups and pasta sauces. Collard Greens have a spinach-like flavor and are rich in vitamin A and calcium. They are best if you boil them briefly and then add to a soup or stir-fry. You can also eat collard greens as a side dish. Just add your favorite seasoning and enjoy! Kale has a slightly bitter, cabbage-like flavor and is rich in vitamin A, C, calcium, folic acid, and potassium. Kale is tasty when added to soups, stir-fries, and sauces. Mustard Greens have a hot, spicy flavor and are rich in vitamin A, C and calcium. They are delicious eaten raw in salads or in stir-fries and soups. Spinach has a sweet flavor and is rich in vitamin A, C, iron and calcium. Spinach tastes great eaten raw in salads or steamed. 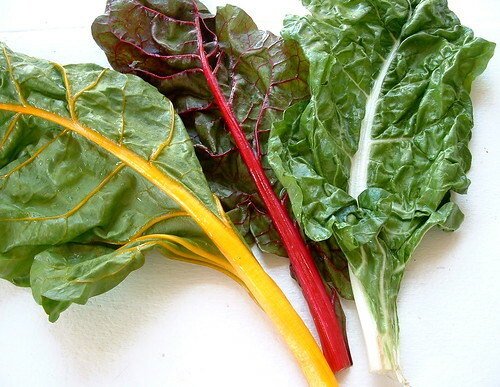 Swiss Chard tastes similar to spinach and is rich in vitamins C, K, and calcium. It is beststir-fried or eaten raw in salads. Dark green leafy vegetables are, calorie for calorie, perhaps the most concentrated source of nutrition of any food. They are a rich source of minerals (including iron, calcium, potassium, and magnesium) and vitamins, including vitamins K, C, E, and many of the B vitamins. They also provide a variety of phytonutrients including beta-carotene,and zeaxanthin, which protect our cells from damage and our eyes from age-related problems, among many other effects. Dark green leaves even contain small amounts of fats. Helps protect bones from osteoporosis. May help prevent and possibly even reduce atherosclerosis by reducing calcium in arterial plaques. May be a key regulator of inflammation, and may help protect us from inflammatory diseases including arthitis. Leafy vegetables are ideal for weight management as they are typically low in calories. They are useful in reducing the risk of cancer and heart disease since they are low in fat, high in dietary fiber, and rich in folic acid, vitamin C, potassium and magnesium, as well as containing a host of phytochemicals, such as lutein, beta-cryptoxanthin, zeaxanthin, and beta-carotene. One study showed that an increment of one daily serving of green leafy vegetables, lowered the risk of cardiovascular disease by 11 percent. In the Adventist health study, the frequent consumption of green salads by African-Americans was associated with a substantially lower risk of mortality. Green vegetables are also a major source of iron and calcium for any diet. Swiss chard and spinach are not considered good sources of calcium, due to their high content of oxalic acid. Green leafy vegetables are rich in beta-carotene, which can also be converted into vitamin A, and also improve immune function. Millions of children around the world have an increased risk of blindness, and other illnesses because of inadequate dietary vitamin A from green leafy vegetables.